María: ¿Has visto qué guapa estaba Carmen en su boda? María: ¿Por qué dices eso? ¿No te parece que estaba guapa? María: ¡Qué mala leche tienes, Julia! 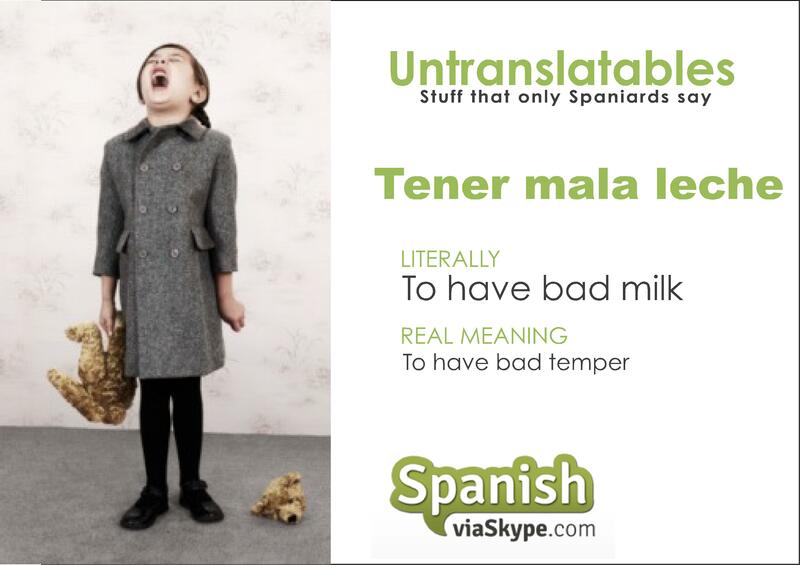 Most of our Spanish students think that “tener mala leche” means that someone has bad temper, but it’s not really correct because you can have good temper and, from time to time, “tener mala leche”. In this case, Julia is being a mean (tiene mala leche) because she’s criticing a good friend’s wedding dress on purpose, although she’s is a nice person and she really loves her friend Carmen. 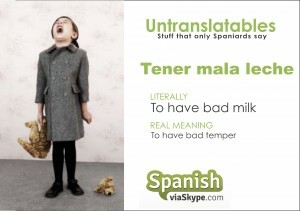 We can also use the expression “estar de mala leche” which means that you’re in a bloody or awful mood. You can “estar de mala leche” because your husband decided to buy a new car without telling you, so you are in a bad mood (temporarily), but if you are always “de mala leche” it means that you have bad temper. ¿Conoces a alguien que siempre esté de mala leche?